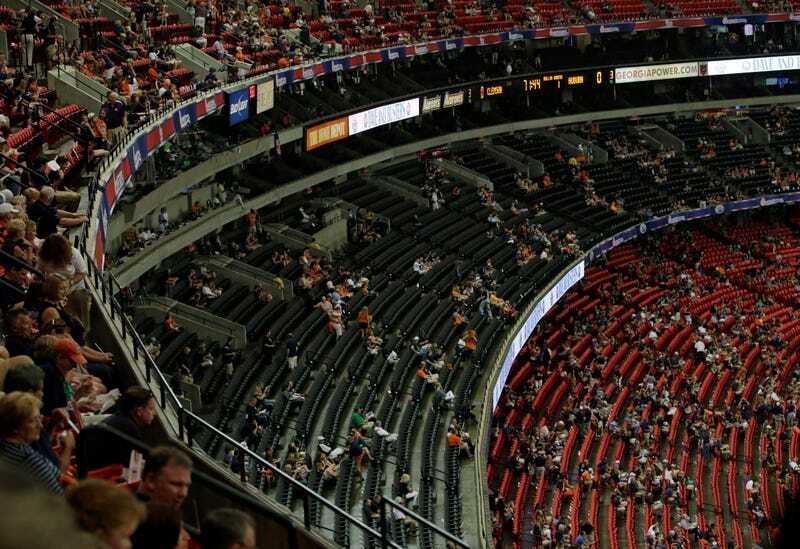 Isaac Grubb, of Lenoir City, Tennessee, died on Friday night after falling over a 33-inch balcony railing in the Georgia Dome and dropping to the lower level. Grubb fell on another man who was in attendance, but that fan only suffered minor injuries. The Facebook page of an Isaac Grubb from Lenior City says he was in the class of 2012 at Pellissippi State Community College. He was 20 years old. Stories about the fall have noted that Grubb had been drinking yesterday, but did not buy alcohol once inside the stadium. Authorities are unsure whether alcohol played a role. The fall occurred at 8:23 p.m., as Grubb cheered Tennessee's second touchdown. While any number of factors may have contributed, we should note, now and always, that 33 inches simply isn't very high for a protective railing. While the International Building Code requires only 26-inch railing, the Texas Rangers organization decided to raise their railings to 42 inches after Shannon Stone fell to his death at Rangers Ballpark in 2011. A 33-inch railing only comes to mid-thigh on a 6-foot person, and that can lead to falls regardless of intoxication, particularly in crowded and raucous environments. This is the second fan death from falling in a span of less than 24 hours: a 45-year old man at the Texans-Viking preseason game fell 60 feet off an escalator on Thursday night and died from his injuries.